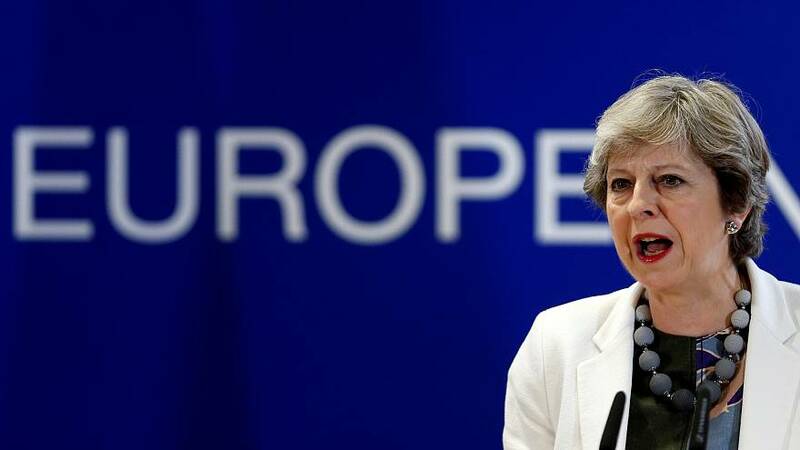 Theresa May has said she is ambitious and positive about Britain’s future outside the EU and that “important progress” was made during Brexit negotiations in Brussels last week. Updating MPs in parliament, the prime minister insisted a deal on citizens’ rights was “in touching distance”. “EU citizens make an extraordinary contribution to our national life and we want them to stay. I know that EU member states also value the UK nationals living in their communities and I want to have their rights protected too. We are united on the key principles and while there are a small number of issues that remain outstanding we are in a touching distance of a deal,” May said. On the issue of Northern Ireland, the prime minister insisted no physical infrastructure would appear at the border after Brexit. “We’ve also made significant progress on Northern Ireland, where it is absolutely imperative that joint work on the peace process is not affected in anyway. There will not be any physical infrastructure at the border and we have also developed joint principles to ensure the continuation of the common travel area,” she added. She also said that she had a “degree of confidence” negotiations would reach a point in December where they could move forward. Addressing criticism that the talks were taking too long she said that they were “complicated and deeply technical” and that her negotiators were going through a possible Brexit agreement “line by line”. The Leader of the Opposition Jeremy Corbyn accused the PM of being “too weak” to bring together the “warring factions in her own cabinet”. He said Britain “was stuck in an impasse” during the “most crucial negotiations in our country’s modern history”, describing it as “Groundhog Day”. In another development, the EU Commission’s president has dismissed claims in a German newspaper that the Prime Minister “begged for help” over Brexit. Jean-Claude Juncker said there was no truth in claims Mrs May was “tired”, “tormented” and “politically weak” when they meet last week. The move by the EU Commission chief was prompted after unnamed source told Germany’s Frankfurter Allgemeine Zeitung on Sunday that the PM looked like “someone who can’t sleep a wink”. Downing Street has declined to comment on the reports emphasising that both sides were of the opinion that the meeting was “constructive and friendly”. Mrs May’s ex-adviser Nick Timothy has accused Mr Juncker’s Chief-of-Staff, German lawyer Martin Selmayr, of being the source. In a tweet, Selmayr denied the accusation that he Juncker have “no interest in weakening the PM”.